If you really want to improve your indoor air quality, then you’ll want to consider products that are designed for this purpose, such as air purifiers in Santa Rosa Beach, FL. 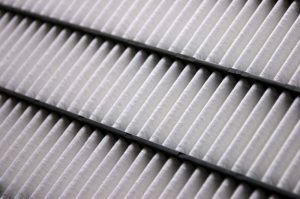 Air filters use a medium like fiberglass in order to capture particles as they pass through your ductwork. A professionally installed air purifier, however, functions by giving particles an electronic charge as they pass through. This allows debris to collect on a plate inside the device where they can later be cleaned off, effectively removing contamination from circulation in your home. An air purifier can be integrated directly into your HVAC system to make sure all of your indoor air is cleaned. There are a number of different makes and models, but each one aims to make your indoor air healthier for you and your family to breathe. The air purifier we described above is not the only type there is. Also referred to as UV germicidal lights, a UV air purifier eliminates a whole new threat to your health—mold and mildew. As you’re likely very well aware, mold development on your property can be encouraged by high humidity—high humidity being defined as a relative humidity level at 50% or higher. Excess moisture in and of itself is just plain uncomfortable. It doesn’t allow our bodies to sweat properly, and therefore doesn’t enable us to cool off. But what it does inside our ductwork is even scarier. It provides a cool, dark, and moist environment for mold, mildew and other bacteria to grow. The UV air purifier, which is installed directly into your ductwork, eliminates this entirely and stops further mold development from occurring. Mold growth can make even the healthiest person ill. But if you have folks in your home who suffer from allergies or asthma, then the risk is even higher. Air purifiers are an excellent way to remove potentially harmful and unhealthy contaminants from your home, but they might not be all you can benefit from. Ductwork breaches allow these contaminants in, to begin with—in which case you may consider having professional duct sealing performed (no, store-bought “duct tape” won’t cut it, we’re afraid). Also, back on the humidity topic (let’s face it, it’s hard to forget about humidity this time of the year!) If you don’t already have a whole-house dehumidifier in place, now is the time to look into its benefits. A dehumidifier helps alleviate not only your comfort, but the health of you, your family, and your property. For any questions you may have about your indoor air quality, please do not hesitate to contact Kool Breeze of Northwest Florida, Inc.